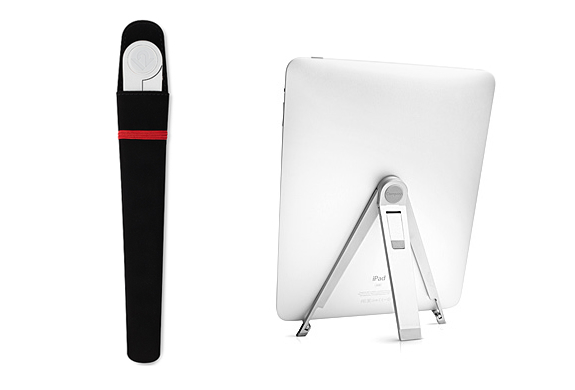 Compass is a stylish, compact folding stand that works as an easel and a typing stand. 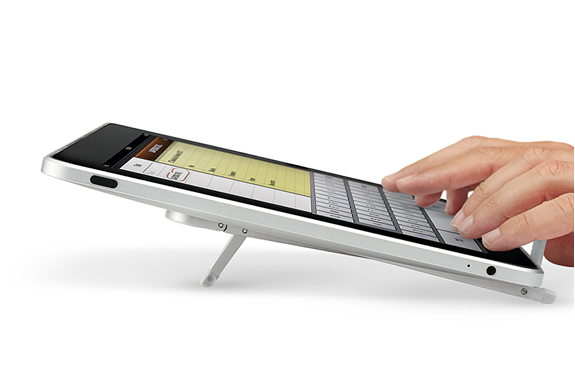 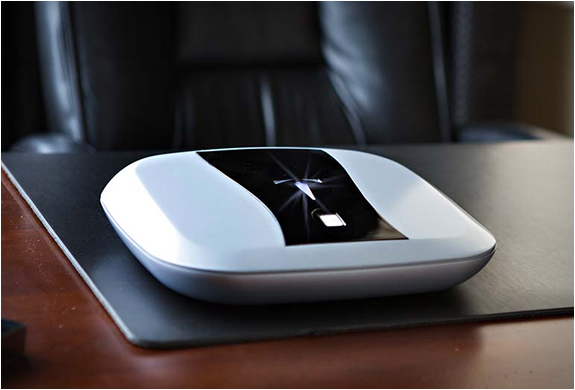 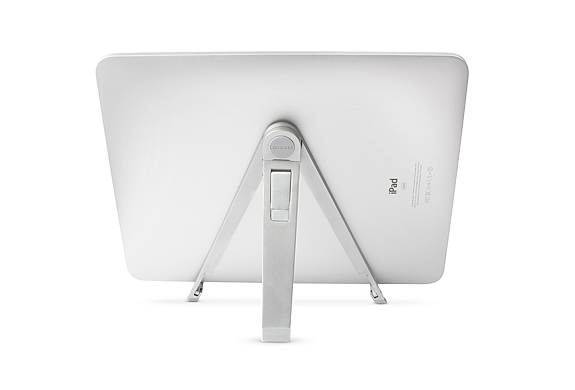 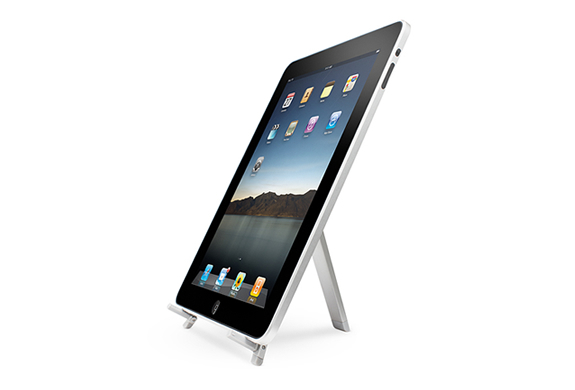 As an easel, Compass beautifully displays iPad in both portrait and landscape modes. 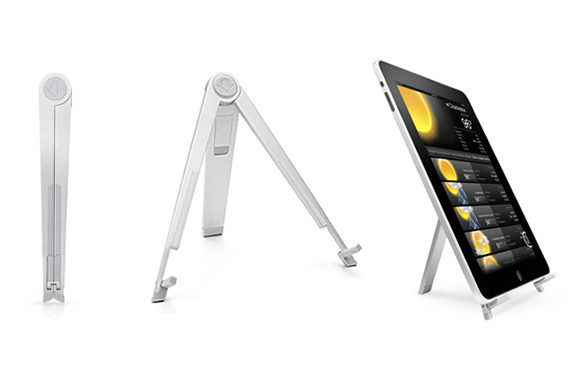 To transform Compass into a typing stand, simply flip down the secondary leg and this super portable stand sits at a perfect angle for comfortable typing on iPad’s cool onscreen keyboard.